Di, Viv and Rose has finally arrived in the West End after playing two sell out stints at the Hampstead Theatre. This story of a friendship forged between between three women who meet as undergraduates worked well in the intimacy of the north London venue and it is a delight to see the show move to the Vaudeville so effectively. 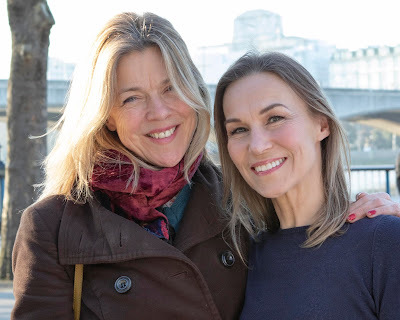 Tamzin Outhwaite reprises her role as Di, the gay and sporty member of the trio and she is now joined by Samantha Spiro as eccentric academic Viv and Jenna Russell as the ditsy if somewhat nymphomaniacal Rose and we meet the unlikely friends living together during their university years. The first act is a whirl of boyfriends (Rose), girlfriends (Di), studying (Viv), all set to an invigorating backdrop of eighties music. The humour of their lives is brilliantly observed, but when one of the trio is raped, the bonds of their friendship are tested. It is a credit to Bullmore that she can swing the play's mood from comedy to nightmare with such plausible dexterity. The seismic shift in tone continues into the second half, where the friends are now women leading very separate lives and in which set designer Paul Wills’ brightly coloured student accommodation gives way to the grey stone walls of a harsher adult world. Viv has become something of a success in New York's fashion scene and flies her two friends over (in business class, to Rose’s great delight) to attend a launch. Yet despite the passage of the years, Bullmore’s prime conceit remains that while times, fortunes and hairstyles may change, true friendship remains a constant. She also contends that whilst three may not always be a crowd, a trio does generate a central nucleus. And in Rose, Jenna Russell shines for the talented natural warmth that she brings to the part. 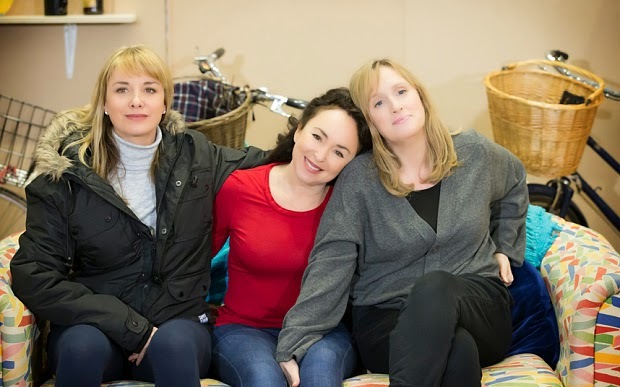 Offstage, Outhwaite has gone on record about this female-led production (cast, writer and director are all women), commenting that “It's beautiful, it's wholesome, it's pure. It's a wonderful thing to work on." Turns out it’s also a wonderful thing to watch. You’ll laugh, you’ll cry and you’ll laugh some more. Go see for yourself.